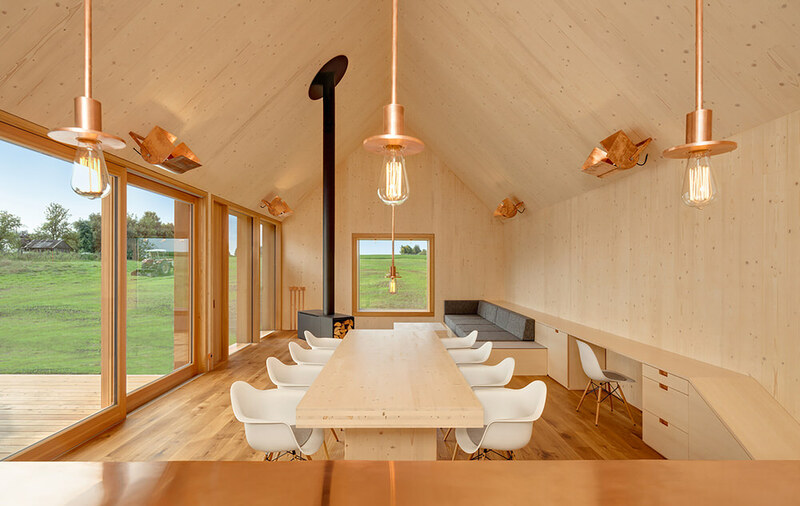 Armed with a somewhat limited palette of unfinished timber and raw copper, KÜHNLEIN Architektur set about designing this minimalistic German residence. 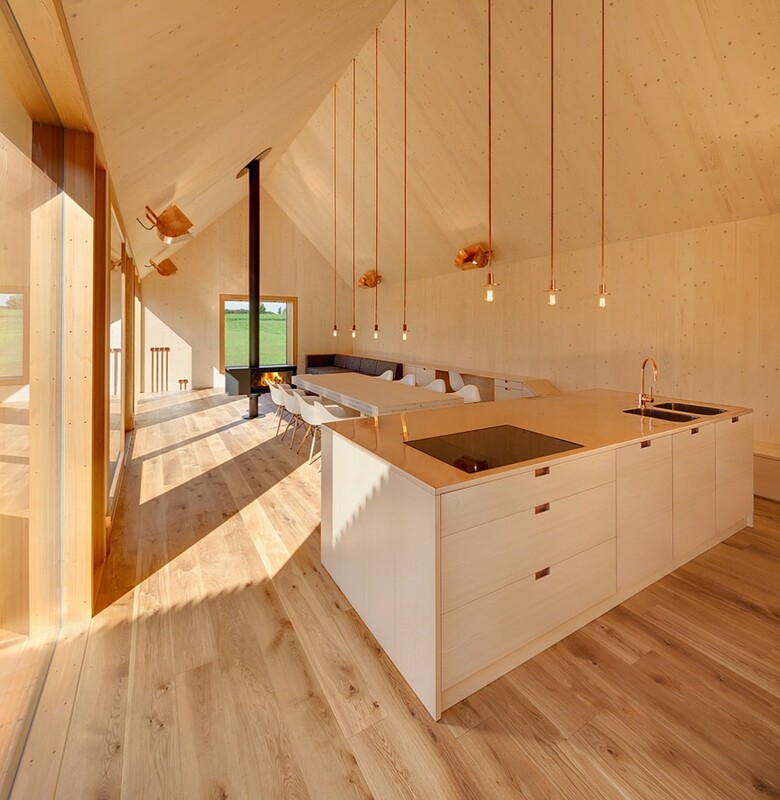 Timber House is composed of two gabled volumes, one accommodating a series of bedrooms, while the other housing a completely open plan living area. 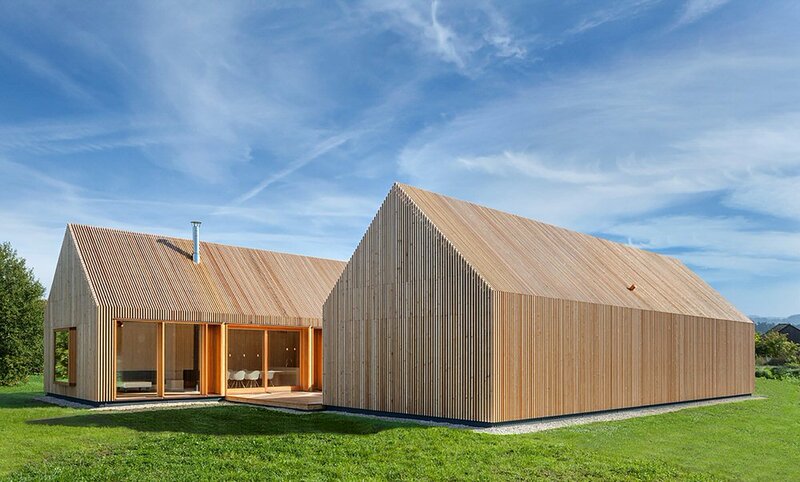 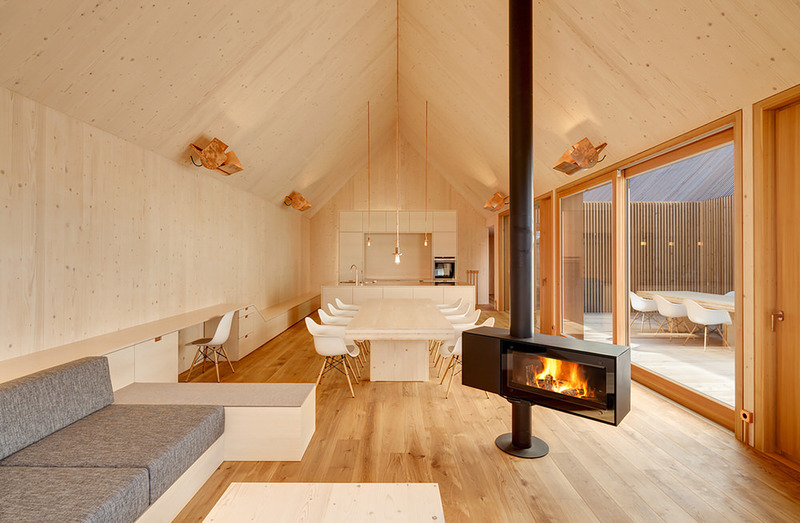 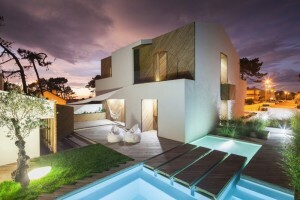 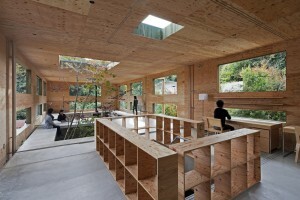 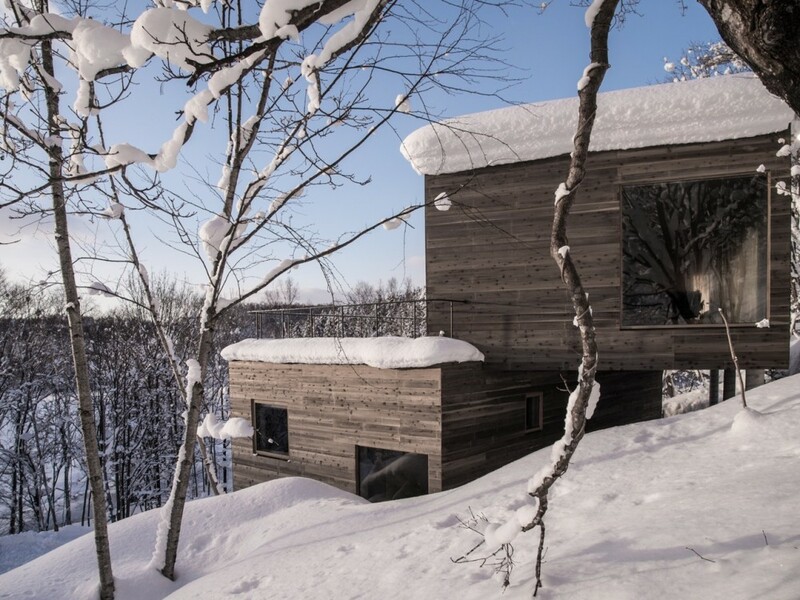 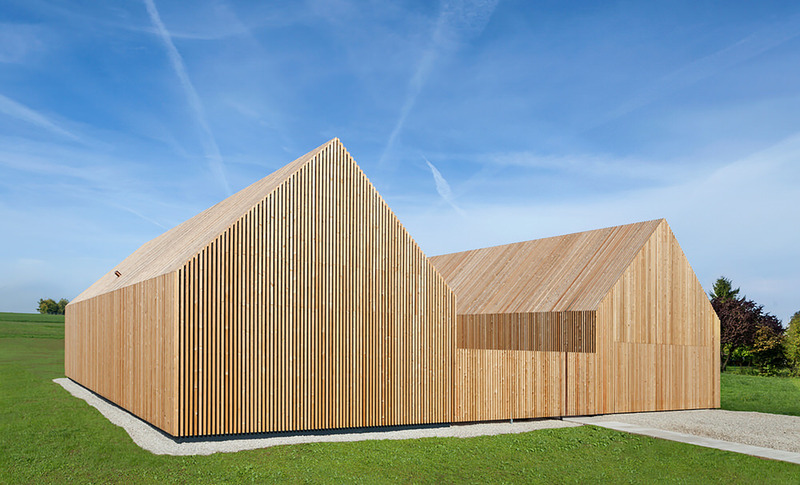 As the name would suggest, wood material plays a key role in Timber House. 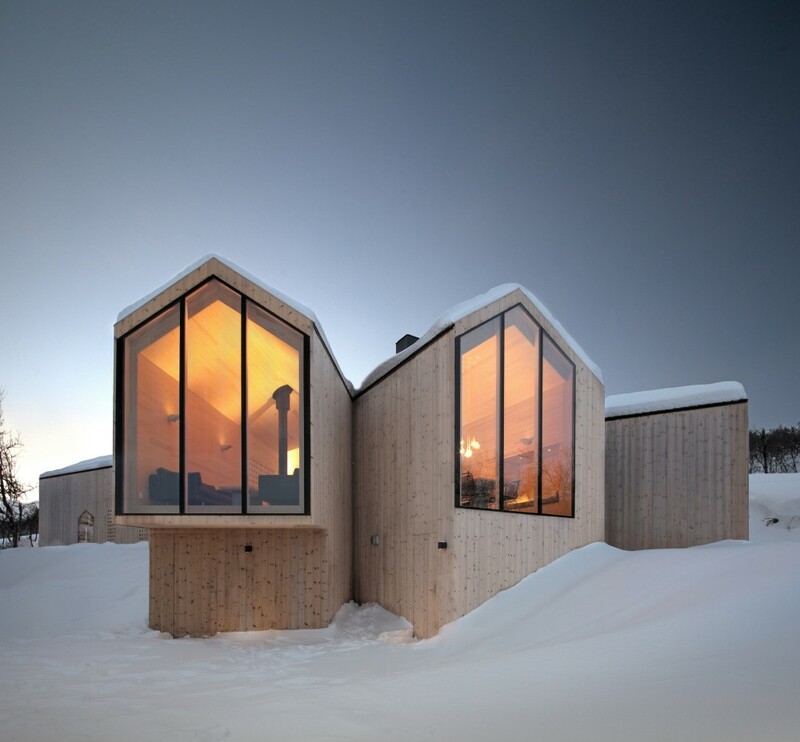 Both the interior and exterior surfaces are clad with it, and thin strips of timber have been cleverly incorporated to provide a degree of privacy to the bedrooms making the entire second volume appear windowless from an outside perspective. 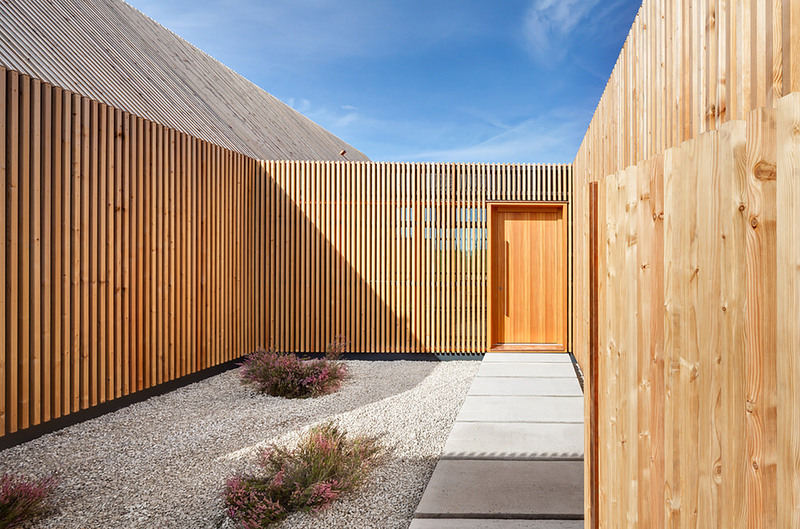 The windows to the street side are screened with the lamellae of the timber facade, while the windows to the landscape side have a free view, the facade is untreated larch wood, so it will grey with time. 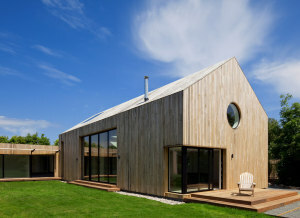 So from afar, the house appears like identical side-by side homes, completely devoid of windows. 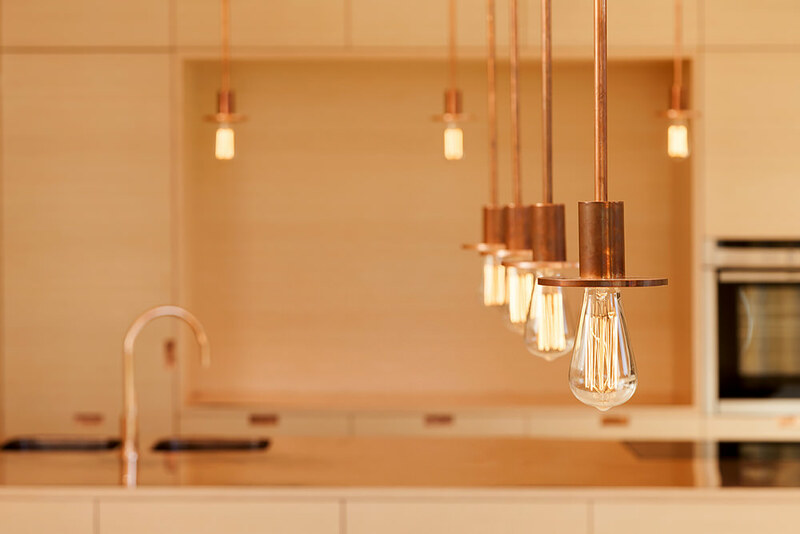 Copper has been used extensively throughout Timber House for all electrical and water fittings which were custom designed by KÜHNLEIN Architektur. 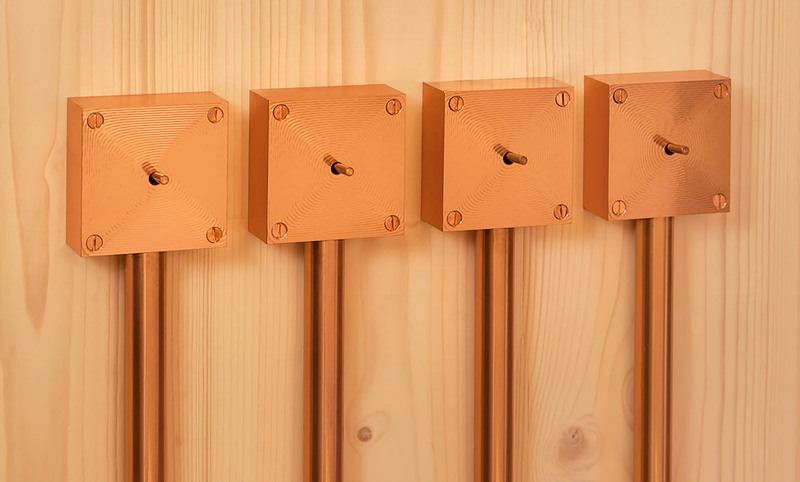 This lustrous metal has a luxurious, warming quality and has been allowed to develop a slight patina.